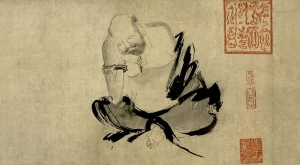 TOKYO NATIONAL MUSEUM - Collections The TNM Collection painting The second Zen patriarch in contemplation. >> The second Zen patriarch in contemplation. The second Zen patriarch in contemplation.